I got these to eat with the Apple Cinnamon Goat’s Milk Cheese Log, and they paired pretty well. On their own though, I’m not as big of a fan. They look like there's a lot of cinnamon and sugar on the chips, but I thought the flavor was a little weak. 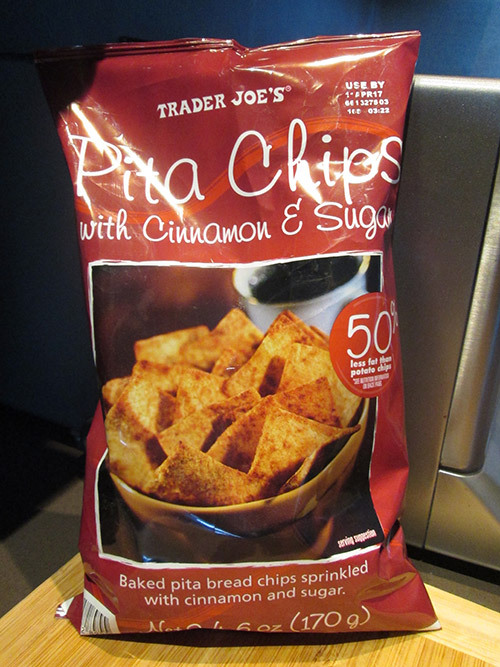 The flavor was definitely more pita, and less cinnamon and sugar. The texture was pretty good though. 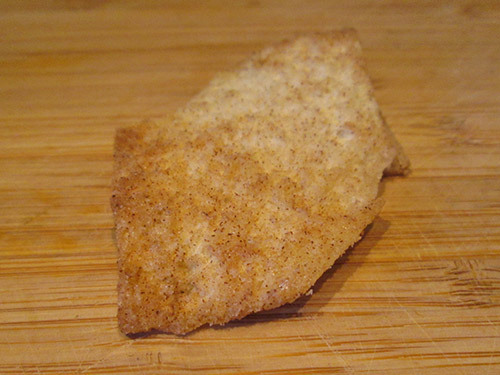 I remember reading someone say once that these chips reminded them of leftover bits of pie crust sprinkled with cinnamon, which does sound pretty accurate. But since crust is always my least favorite part of every pie, that probably explains why I was a little underwhelmed by these. Also, if you’re looking for a sweet snack that’s still relatively healthy, this is probably a good choice.